Our social support groups provide an opportunity for social interaction through group and community-based activities. Social support groups are for people who are frail, aged or with a range of conditions including Dementia, Parkinsons, Multiple Sclerosis, and acquired brain injuries. 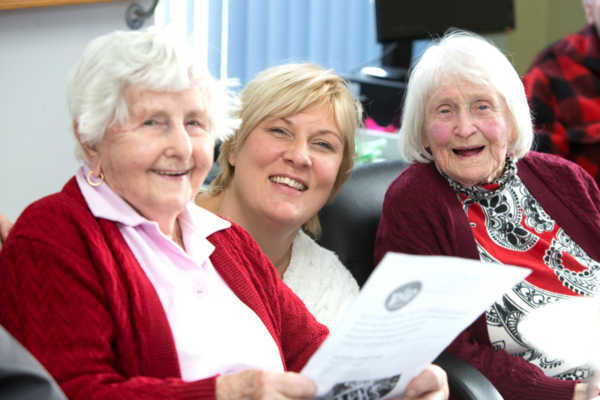 Social support groups also play an important role in providing respite and support for carers. We also have groups for people from culturally and linguistically diverse backgrounds including Italian, Chinese, Turkish and Cook Islanders. People who are 65 years and over, on a pension or have a carer, as well as younger people with a disability. A client can make an enquiry themselves or by a family member or case manager on their behalf. All day groups $16, half day groups $6. This includes transport and for the all day groups, morning tea and lunch. For people over 65 access to the service is by Referral from My Aged Care. Clients can contact My Aged Care on 1800 200 422 to register and they will assist you with a referral to us. Alternatively we can assist you with contacting My Aged Care and the referral process. If you are under 65 please call us directly to discuss the program. Once the referral is made, a member of our team will organise a time to visit. The meeting will involve the client, their carer and other people in their life, including family members or a case manager. The purpose of this meeting is to establish the potential client’s interests, needs and availability to attend.